If you’ve tried Korean beef in a restaurant or from a food truck, I bet you’ll enjoy trying one of these Instant Pot Korean Beef recipes! All these ideas for Korean Beef combine rich Asian flavors with tender beef to create tasty options for dinner! And making Korean Beef in an Instant Pot makes it easy for a quick and delicious dinner! 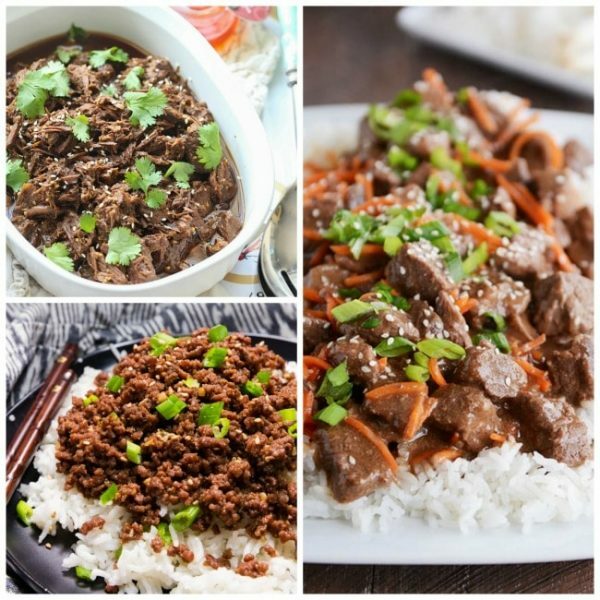 Click here to PIN The BEST Instant Pot Korean Beef Recipes! Click here to see The BEST Instant Pot Dinners with Ground Beef! Who has tried spicy Korean Beef? The last few years Korean food has become incredibly popular, and Korean Beef restaurants and food trucks are springing up everywhere! 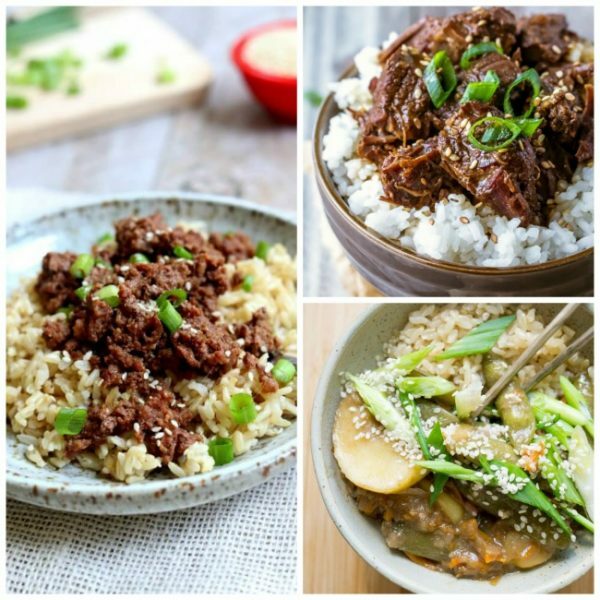 If you’ve enjoyed Korean food you might like to try making it at home, so this post has our picks for The BEST Instant Pot Korean Beef Recipes! What makes Korean Beef popular is the combination of spicy and sweet flavors and each of these recipes achieves that in a slightly different way. Some use authentically Korean ingredients, while others get that Korean food feeling with ingredients that might be more common in American kitchens. Check out the recipes and pick one to make Korean Beef soon, and enjoy! All photos are copyrighted to the blogger that posted the recipe. Just click the recipe title under any photo to see the complete recipe on the original site. Instant Pot Korean Beef from I Heart Eating has a key ingredient of Gochujang, a sweet and spicy red chili paste that’s commonly used in Korean cooking. It’s a must according to Kate! Check out this Korean Beef (Slow Cooker or Instant Pot) from Mel’s Kitchen Cafe. Mel says the flavor is out of this world delicious! Instant Pot Korean Beef and Brown Rice from 365 Days of Slow Cooking is super fast to make and the meat is seasoned perfectly, not too sweet, not too salty, not too much heat but with just the right spiciness! Instant Pot Korean Short Ribs from Nom Nom Paleo have a sauce includes coconut aminos, rice vinegar, Asian pear or Fuji apple, fish sauce, scallions, garlic and ginger. These ribs are cooked in pure yumminess! Instant Pot Korean Beef from Cookies and Cups uses mostly things you have on hand. 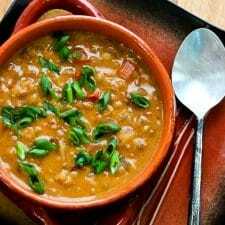 It is also very easy to make, so combine these two things and you have a great go to recipe for a delicious week-night dinner! 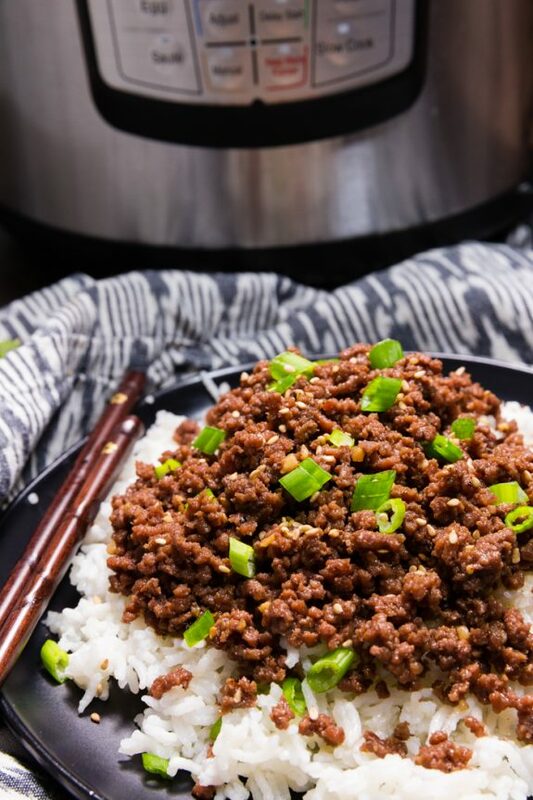 Instant Pot Korean Beef from Smart Nutrition is a healthier version of Korean Beef that Jessica says is better than takeout! 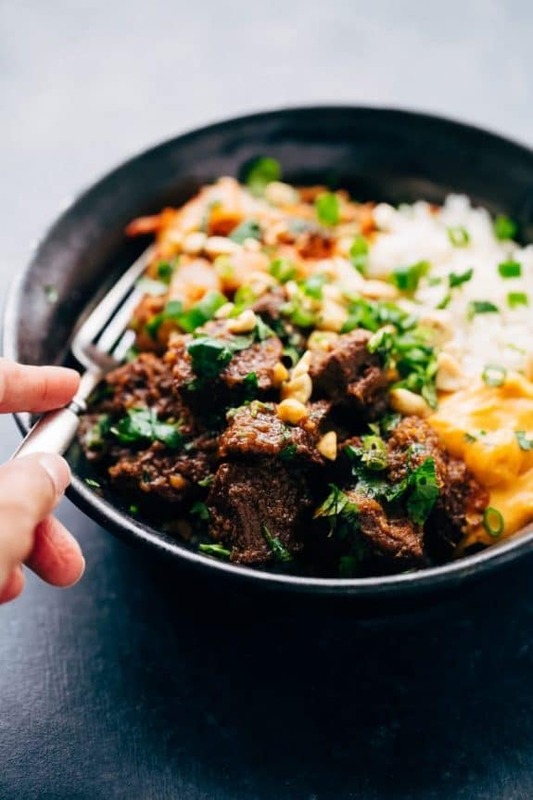 Instant Pot Korean Beef Bowls from Little Spice Jar features tender chunks of beef that are big on flavor, making this a regular for Marzia’s family! 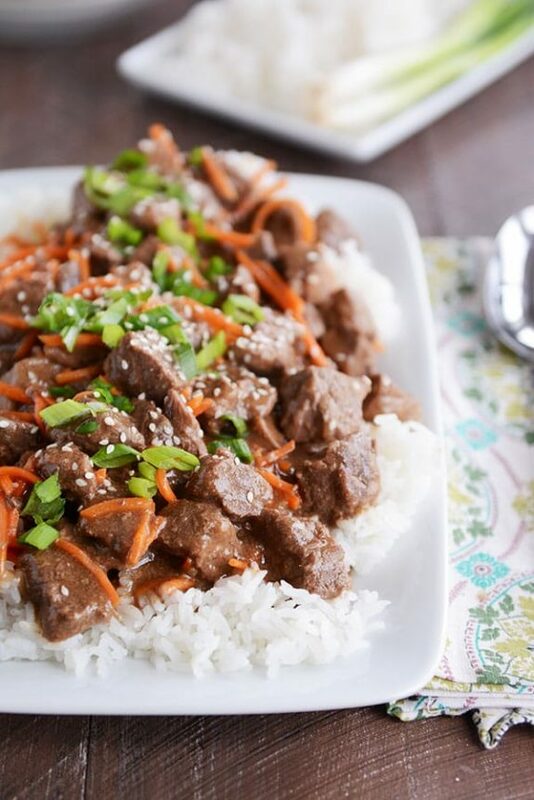 Instant Pot Korean Beef from Eazy Peazy Mealz is a sweet and spicy, deliciously flavorful beef that can be served over rice. Doesn’t that sound perfect for tonight’s dinner? 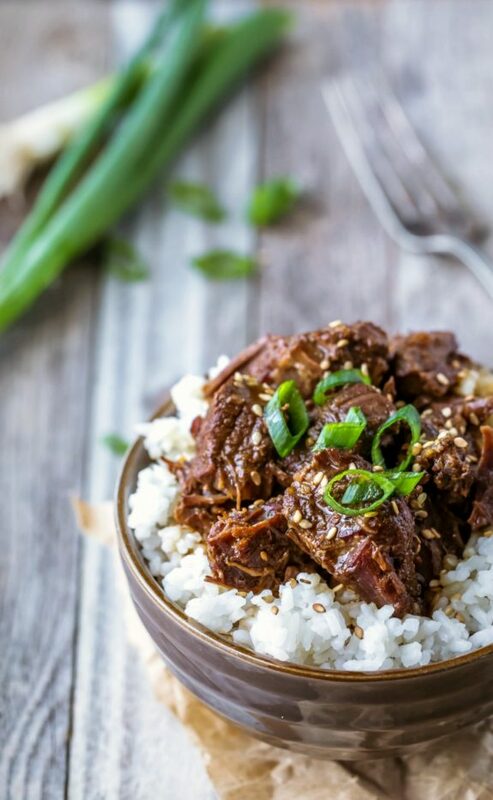 Instant Pot Korean Beef from The Frugal Hausfrau looks delicious. Frugal Hausfrau calls this heart warming and you will love everything about it! Instant Pot Korean BBQ Beef from Your Homebased Mom is a versatile Korean beef recipe that can be used in tacos, by itself, or in a rice bowl. Which recipe are you going to try first? And if you have a good recipe for Instant Pot Korean Beef, share that link with us in the comments! Thanks for including my version of Korean Beef in your round up of recipes! I love that caramelized goodness! I’m sharing on Pinterest FB & Twitter!! Your Korean Beef looks delish! Thanks so much for sharing!